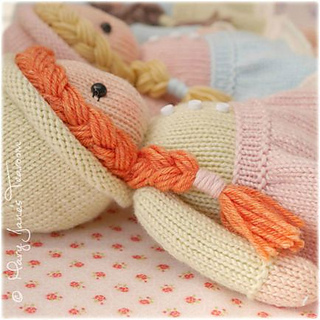 Pattern is written in ENGLISH and worked ’in the round’ using 3mm Double-Pointed Needles (doll body) and a 3mm Circular Needle (skirt) - you could use dpns for this too. This 16 page PDF contains lots of photographs, written instructions, links and tips to help you along the way. 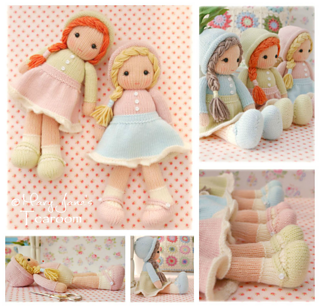 The dolls have been created in 3 different shade combinations for ideas…. 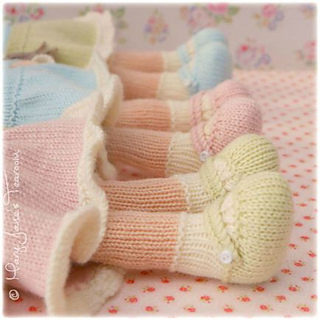 Your doll is stuffed as you knit. Hat is secured in place and hair is very quick and easy. 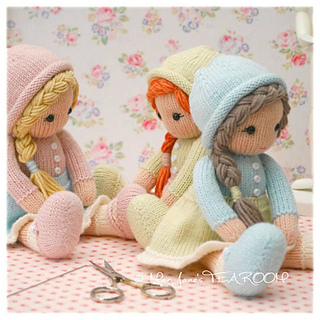 A basic understanding of knitting ‘in the round’ is required to create these little dolls. Step by Step Instructions, useful tips and links.